The much-touted EnChroma glasses don't help colorblind users see new colors; they merely let the colorblind see the same colors in a different way, according to a new study published in Optics Express by scientists at Spain's University of Granada. The scientists liken the effect to the colored glasses often used by hunters to increase the contrast in their surroundings so they can better pick up on certain visual stimuli. EnChroma makes glasses that are designed to help with a specific form of color blindness, one in which a hybrid of red- and green-detecting receptors confuse the differences between colors. The receptors act by blocking out the wavelengths that the hybrids are most sensitive to, but they don't do anything for other forms of color blindness. So the new results don't come as a surprise to University of Washington color-vision expert Jay Neitz, who has long been skeptical about what the glasses actually accomplish. "You can't add colors by taking away some wavelengths [of light], which is all the glasses do," he says. But EnChroma CEO Andrew Schmeder takes issue with the study's conclusions. 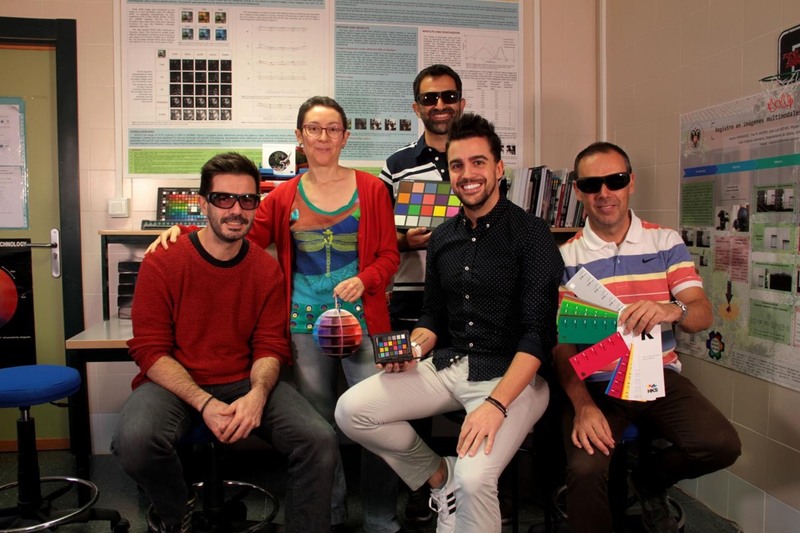 "The research by the University of Granada is based on an incorrect assumption about how color-vision screening tests work because they can neither prove nor disprove whether color vision improves or not," he said in a statement to Ars Technica. 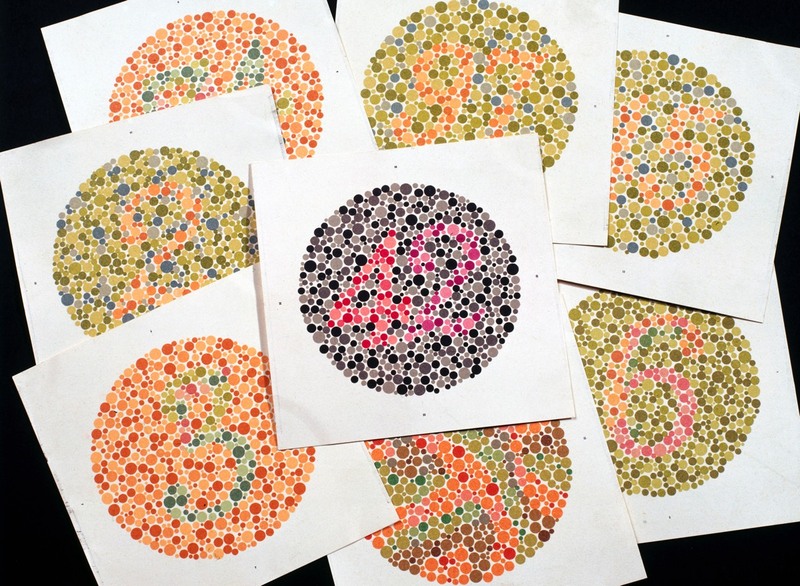 "EnChroma does not endorse the use of our glasses on such color-blindness screening tests." There have always been roughly equal measures of enthusiasm and skepticism about the effectiveness of EnChroma glasses, and firsthand accounts vary from "meh" to life-changing revelations. That may be because color perception is (a) inherently subjective, and (b) there are many different types of color blindness, and EnChroma's product will interact with them in complicated ways. Journalist Oliver Morrison, for instance, was underwhelmed. Writing in The Atlantic in 2015, he said "It's not like they were worse than regular sunglasses—there was a way in which certain things popped out—but not in the way that it felt like it was advertised." Meanwhile, former Ars reporter Nick Veronin, who is moderately color blind, wrote about his experience with the glasses in 2016. He was not blown away when he donned them, unlike many of the people in the company's testimonial videos. But then he noticed pops of brilliant greens and purples as he drove around, and he decided the glasses did help enhance his color perception a little. Part of the discrepancy no doubt stems from a fundamental misunderstanding about color blindness. We typically have three types of cones in our retinas that are sensitive to specific colors in the electromagnetic spectrum: blue, green, and red. Technically, each type of cone detects either short (S), medium (M), or long (L) wavelengths of light. The brain processes the information gathered by the three types of cone cells to give us our perception of color. There is a natural degree of overlap among cone cells, but generally speaking, each type responds most strongly to a narrow range of wavelengths. However, certain genetic mutations can mess up this tidy arrangement in a number of different ways. Roughly eight percent of men in the US (one out of every 12) have some form of red/green colorblindness, according to Neitz. This is by far the most common form. For instance, "anomalous trichromatics" are those people whose brain still gets information from all three photoreceptors, but either the M or L cones have shifted their wavelength sensitivities just enough to make it harder to discriminate colors in the red-green dimension. How severe the condition is depends on how much the wavelength sensitivity has shifted. Veronin falls into this category. The EnChroma online test diagnosed him as a "moderate deutan." "People like me may have trouble distinguishing between green and brown, red and brown, and yellow and orange," he wrote. "Pinks can appear gray, purple and blue get mixed up a lot, and the green light in a traffic signal may appear to be nothing more than bright white." But his condition isn't so severe as to be debilitating. First diagnosed at age six, Veronin developed coping tricks over the ensuing decades, such as double-checking the color of a particular garment with the store clerk before purchasing. 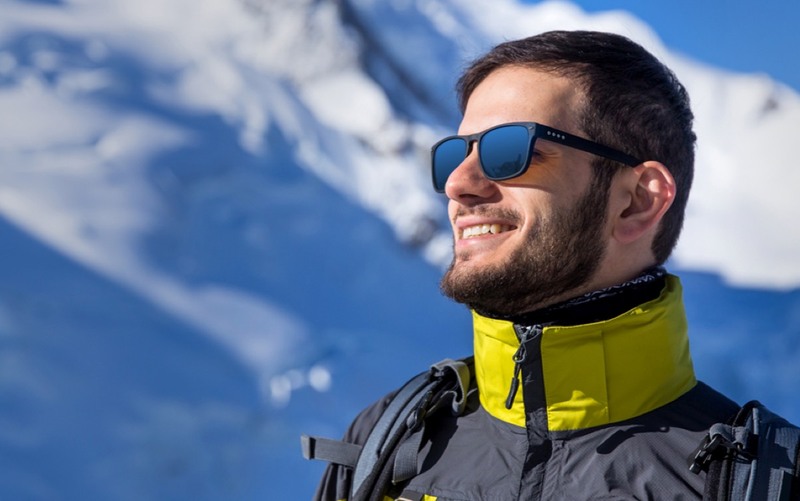 The EnChroma glasses are designed to correct certain types of color vision deficiencies (like Veronin's mild red/green color blindness) by blocking certain wavelengths of light. "Essentially, we're removing particular wavelengths of light that correspond to the region of most overlap," Schmeder told Gizmodo in 2016. "By doing so, we're effectively creating more separation between those two channels of information." A more serious form of color blindness is called dichromatism. People with certain genetic defects can't make either L or M photoreceptors, so they only have two working photoreceptors instead of three. Even the most severely affected anomalous trichromat has color vision that is 10 times better than a dichromat, according to Neitz. "They live in a world where there's only black and white, gray, and then just two colors: blue and yellow," he says. "There's very little sense of red or green at all. They don't see any difference between a well-done steak or a completely rare one—it's all the same gray color to them." Those are the people who really suffer, and they are the ones most badly in need of a solution. Unfortunately, the EnChroma glasses won't help people who suffer from this form of color blindness. That was Morrison's experience; he is completely lacking red-sensing pigments, one of the most severe forms of color blindness. For him, the glasses "just accentuated the difference between the really bright billboards and the boring hues of streets and clothing," he wrote. He speculated that was because "I didn't see enough colors for the glasses to effectively enhance them." That's why EnChroma doesn't claim its glasses will help all forms of color blindness or that the glasses constitute any kind of a "cure." The company prefers to describe its glasses as more of an assistive device for those, like Veronin, who are mild-to-moderate anomalous trichromats: the glasses should help them better discriminate colors in the red/green dimension. As Gizmodo reported, EnChroma primarily relies on subjective user responses to assess the efficiency of its glasses on enhancing color perception. But the company did perform some clinical trials using a test known as the D15, in which subjects must arrange 15 colored circles in the order of the rainbow (that is, chromatically). The results were mixed: some of EnChroma's subjects showed more improvement than others, and the improvement did not seem to correlate with the degree of color-blindness severity. According to Neitz, colored filters (like the EnChroma glasses) can enhance relative brightness of the chips, providing a helpful contextual clue. So the D15 is not the best objective measure. The University of Granada researchers used the classic Ishihara test to evaluate recognition, and the Fansworth-Munsell 100-hue test to evaluate arrangement. They also evaluated subjective color naming based on the X-Rite Color Chart. The researchers also studied the changes in color appearance by simulating different observers with the spectral transmittance of the lenses. So what did they find? Wearing the glasses didn't help any of the participants perform better on the two types of color blindness tests used in the study. That's in keeping with EnChroma's claims on its website (and Schmeder's statement to Ars Technica), as well as Veronin's first-hand experience. So if you're hoping to use the glasses as a cheat to pass a screening test to become a TSA agent or police officer, forget about it. When the Granada subjects were asked to look around and subjectively assess their color perception, none of the subjects reported any improvement to the colors around them when wearing the glasses. Thus, it is "possible for some individuals using these glasses to distinguish some colors, but to the detriment of others, which will now be confused," the authors concluded. "Even though a color filter as that used by the EnChroma glasses may change the appearance of colors, it will never make color vision more similar to a normal observer's vision." That's Neitz's assessment as well. "The particular wavelengths that are knocked out [by the glasses] now produce contrast that [users] didn't see before, so they see a dramatic difference in the world," he says. "But if they wore those glasses all the time and then took them off, they would have that same reaction." Neitz thinks that EnChroma is sincere in its desire to help people with color-vision defects and that the company's founders genuinely believe the glasses are effective. "Much of the problem has to do with deep misunderstandings of the nature of color blindness by the general public, the people at EnChroma, and colorblind people themselves," he says. "If everyone understood the basic facts of colorblindness better, there wouldn't be any controversy about whether or not the glasses are effective." EnChroma has invented an innovative product that is changing our understanding of how people with color blindness see the world. It is not unusual for a new technology to be met with skepticism–this is a natural part of scientific discourse. Unfortunately, the research by the University of Granada is based on an incorrect assumption about how color-vision screening tests work, because they can neither prove nor disprove whether color vision improves or not. EnChroma does not endorse the use of our glasses on such color blindness screening tests. EnChroma is confident that our glasses are effective and provide real benefits to the color vision of colorblind people. We encourage researchers interested in studying EnChroma to contact us to receive sample eyewear and a copy of our research guidelines. DOI: Optics Express, 2018. 10.1364/OE.26.028693 (About DOIs). EnlargeBenno Hansen What makes some people radical and prone to taking extreme views on topics? Radi..